Welcome to Blind Cleaning Services. We provide a comprehensive blind cleaning and repair service based in Glasgow, working with both commercial and domestic customers throughout Scotland. 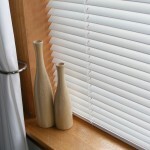 We would love to discuss how we can help with your blind cleaning, repair or replacement needs. So please get in touch at any time using the telephone number or email below. *Same Day service available for certain blind types **price depends on size of blind, price is inclusive of collection and delivery.